At Hall & Scott we pride ourselves on being one of the most prominent and influential residential property agencies in the local area, specialising in Sales and Lettings. 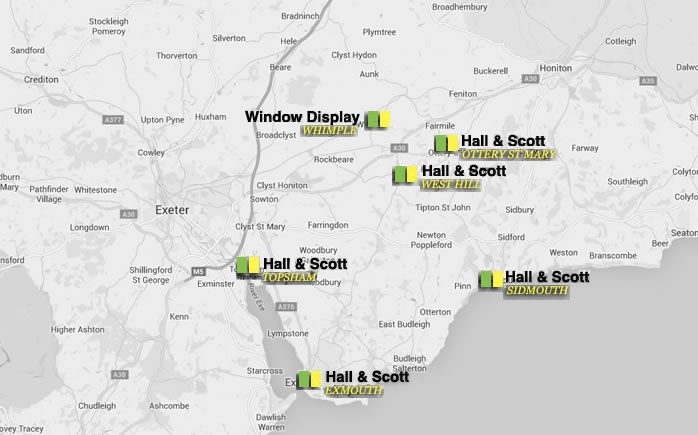 With our five widespread offices in Exmouth, Topsham, Ottery St Mary, West Hill and Sidmouth aswell as window displays in Whimple and Exmouth, our objective is to become the agency of choice for both buyers, sellers, landlords and tenants. We are committed to providing a personal service and our experienced team of employees and combination of skills, enable us to have strong foundations to give a complete service tailored to individual client needs and dedicated to giving you an unrivalled property service.